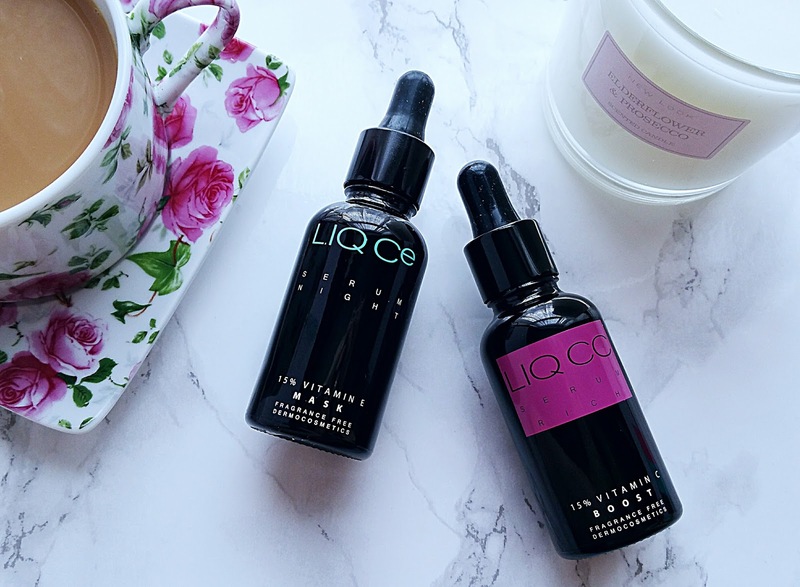 The skincare company LIQ C Dermocosmetics UK contacted me and very kindly offered to send me a couple of their serums to review. They are a company that have just started to sell their products in the UK which are available through their website. They offer a range of facial serums with Vitamin C as the main ingredient and a Night Serum Vitamin E Mask. Now I'm not a scientist but I do know Vitamin C has been used in skincare for a number of years, so what makes these serums any different? The company promises that with a "Unique recipe of natural ingredients and both fragrant and colour free they can satisfy even the most discerning customer." If you know me by now, you'll know that I have super dry sensitive skin which can suffer from break outs and areas of redness, so I was really excited to give these a try. The serum comes in a dark glass bottle with a pipette applicator and I find these so much easier to apply a product with. It's quite a thick, oily consistency but I only needed to use one pipette's worth to cover my whole face. After cleansing my skin I massaged the serum all over my face, then gently pressed it into my skin using my palms and any product that was left on my hands I massaged into those as well (it doubled up as an excellent cuticle oil!) . 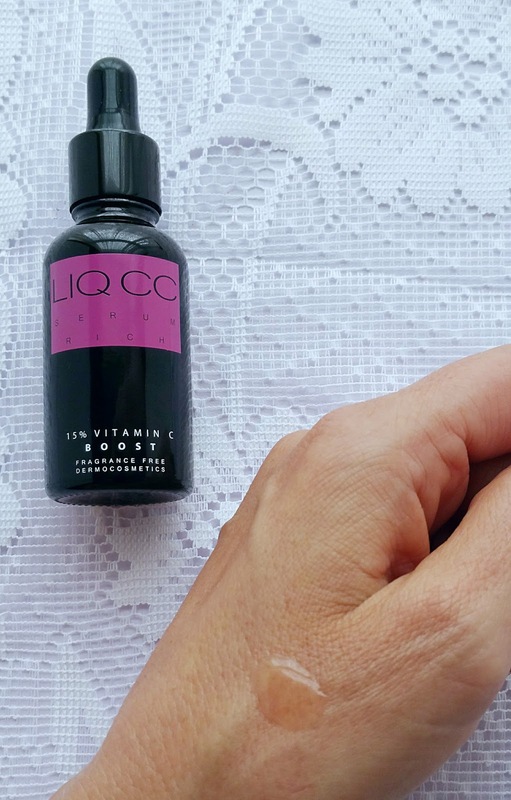 When I first applied the serum my skin did feel a bit sticky for a short while afterwards and it did take a while to absorb into my skin. However I didn't have to wait too long before I had super soft, hydrated skin and luckily there wasn't any greasy residue left behind. My skin felt really smooth and nourished especially on the dryer areas across my cheeks. It had a really plump, radiant look to it and any fine lines had almost disappeared. I then applied my usual moisturiser over the top and my skin was ready to apply my makeup. 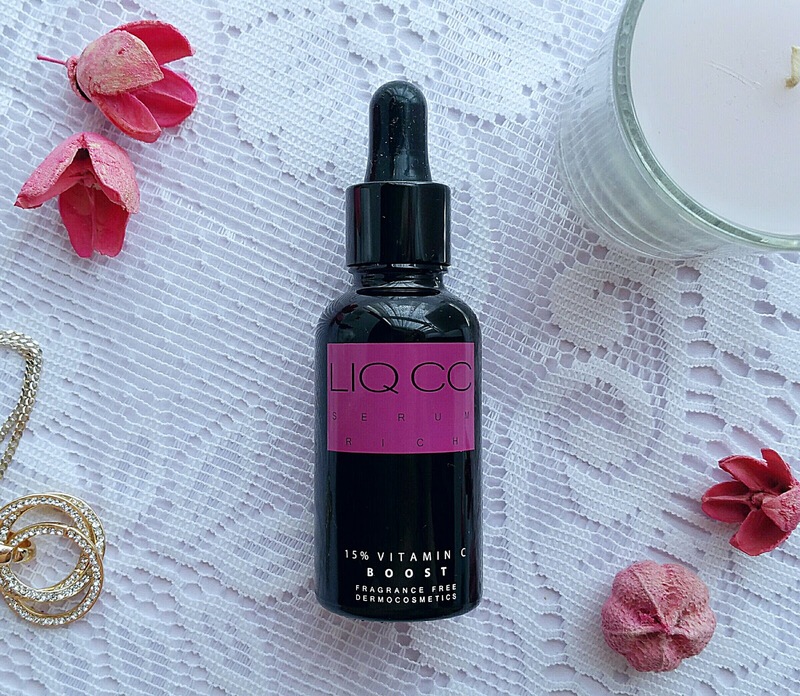 Honestly, this serum is actually really amazing as it's slightly thicker than my usual serum. I found it to be somewhere between a serum and a daily facial oil, so you're almost getting two products in one. 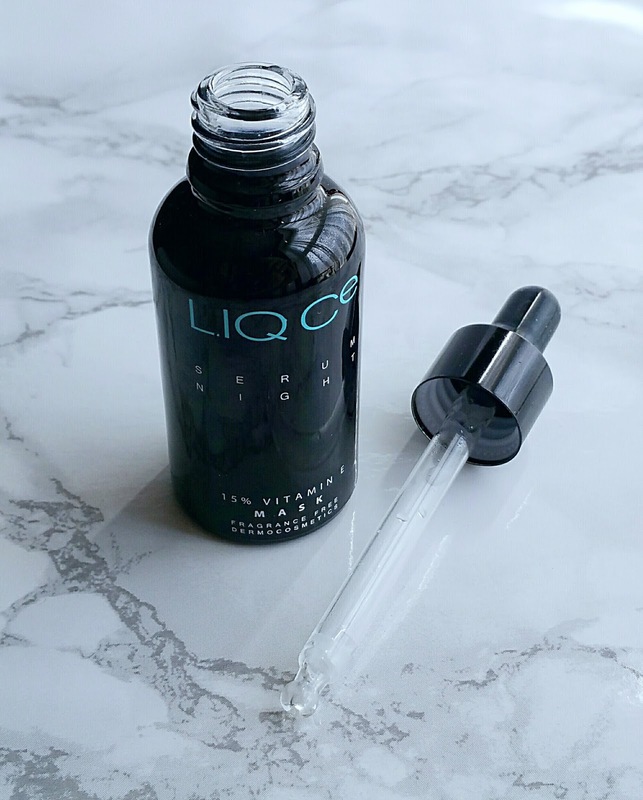 The LIQ Ce Night Serum comes in the same dark glass bottle with a pipette applicator and this one is a slightly thicker consistency than the day serum. After cleansing I massaged it into my skin and pressed it in gently with the palms of my hands, but again it left my skin slightly sticky for a while after I'd used it, which isn't too bad considering I had all night for it to be able to work it's magic. The beauty of the night serum is that it contains a high level of vitamin E which helps to reduce and slow down the skin's ageing process. The following morning my skin did look hydrated and much firmer, it also felt really soft and I was quite surprised to see a lot less red patches on my cheeks than I usually get. 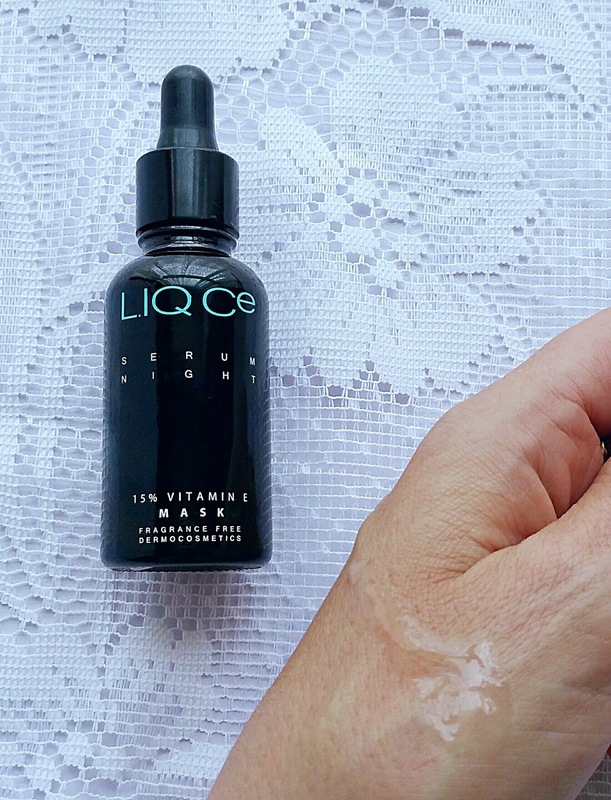 LIQ Ce Night Serum is also meant to be good for healing small scars which I don't have any on my face so I'm not able to give my opinion as to whether this would work or not. I really like that both serums contain natural ingredients, have no colour and are fragrance free. As I have sensitive skin I've not noticed any reaction after using them both for about a week. I absolutely love the way my skin feels so soft and looks really radiant. The only downside would be the length of time the day serum took to melt into my skin, but it wasn't a major problem as I just styled my hair first before applying makeup. Thanks for reading. 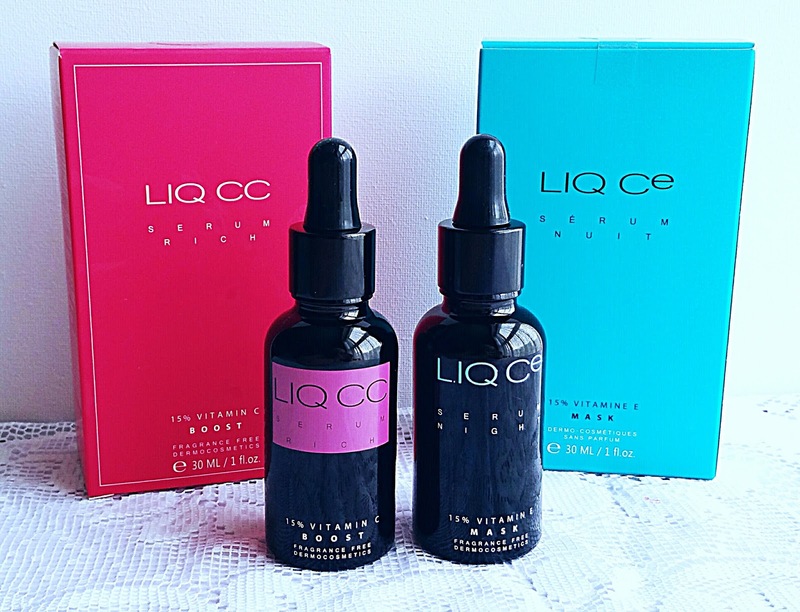 Have you tried LIQ C products? How did you get on with them? If you haven't, what's your favourite facial serum to use?